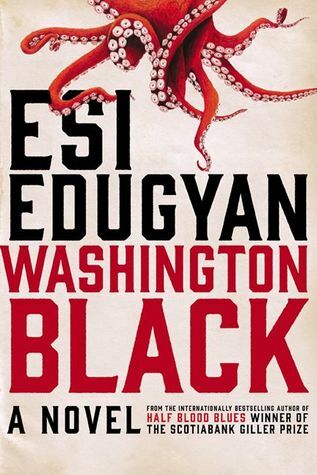 Congratulations to Esi Edugyan whose novel Washington Black was named the 2018 Giller Prize winner! As many of you may already know, the Shadow Giller jury chose Songs for the Cold of Heart by Eric DuPont as our winner. However, Washington Black was our second choice, so it’s lovely to see such a wonderful book take the prize. If you’re interested in finding out how we arrived at our decision, you can read about it here. For more information and photos of the event, you can visit the Scotiabank Giller Prize website or the CBC news. You can hear an interview with Esi Edugyan after her win on CBC’s “q” here. That’s the end of the Giller Prize season for another year. We hope you’ve enjoyed following our Shadow Giller proceedings, reviews and tweets over the past two months. We’ve had a brilliant time doing it and read some wonderful books in the process. Thanks so much for your support, and we’ll see you again next year! This entry was posted on November 21, 2018 at 1:18 pm and is filed under 2018 Giller Prize. You can follow any responses to this entry through the RSS 2.0 feed. You can skip to the end and leave a response. Pinging is currently not allowed. Brilliant that it was your second choice! It wasn’t my second choice. I gave my points to Thea Lim; I thought her novel was extraordinary & totally not what I expected when I (reluctantly) picked it up. Oh, that’s right! Sorry, Kim. My memory failed me! Thea Lim’s novel was so great, too, wasn’t it? I wasn’t expecting to love it as much as I did!